VEGAN DIET FESTIVAL AND COOKING SHOW Teaching gardens contribute to the awareness on these issues with ten days of intensive communication made in synergy with the Pro Loco of Lusia that simultaneously promotes initiatives for the vegetarian diet and the use of vegetables produced in the territory of Lusia. Veganism is not only a way of eating healthily but also of conceiving life, man, and every living being. It is also a way to contribute to nourishing all the human beings on the planet: a mainly carnivorous consumer needs 12,000 square meters of cultivated land for its nutrition; a vegan needs, to produce all the plants needed for a complete food intake, 850 square metres of land. 14 vegans can be fed with the same resources necessary maintain a carnivore. Less meat and more beans and the issue of starvation in the world would be solved without GMOs and the use of chemical fertilisers would be drastically reduced. Teaching gardens contribute to the awareness on these issues with ten days of intensive communication made in synergy with the Pro Loco of Lusia (organisation for the promotion of the territory) that simultaneously promotes initiatives for the vegetarian diet and the use of vegetables produced in the territory of Lusia. Participants arrive at the garden and are equipped with means of protection to be able to walk on the land. They learn about and are shown the production methodology using only biodiversity, without any use of chemicals, and are then accompanied to collect the vegetables that will be used in the kitchen. In the classroom, specially designed to be a cooking school, after a short theoretical introduction on the need to join more plants in order to obtain a complete food intake, the chef prepares, with the help of the participants, a lunch or dinner that is nutritionally complete. 4 courses for lunch and 5 for dinner. Participants assist the preparation and interact with the chef. They can take notes, record and take photos. At the end of the preparation (around 01:00 p.m. and around 08:30 p.m.), the participants, seated at the restaurant’s tables, taste what has been prepared with further explanations and assistance for the flavour analysis. It is also possible to collect natural vegetables to take home. Two daily events from 09:00 a.m. to 02:00 p.m. and then from 04:00 p.m. to 10:00 p.m. from 12 to 21 June. Learn how to live better wasting fewer resources. Reserved to 16 participants in the morning and 16 in the afternoon. Booking required. Cost per participant € 40 in the morning and € 50 in the afternoon. Children under 14 years of age €25. A two-hectare vegetable garden surrounded by seven hundred shrubs of forty different varieties and forty trees. 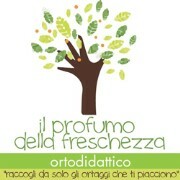 An olfactory experience with a hundred varieties of aromatic and medicinal plants. A pond for irrigation water phytopurification plants. Ancient fruits. No chemical treatment. Those who want vegetables come and collect them. A teaching farm. Vegan farm holidays and vegan cooking school. Green Bar. A hall equipped for conferences. Hold conferences even on the lawn surrounding the pond. The teaching vegetable garden was conceived and designed to overcome organic. The organic farmer is concerned to defend the productions with natural methods rather than chemical, in vegetable garden teaching. We take care of the environment so that the horticultural products stay healthy. No use of natural fertilisers and manure. No type of intervention on the productions. We start from the assumption that the Earth is a mother whose breasts are always full to nurture the children who respect her; it is the mother who nourishes the children and not the other way around. The earth needs fertilisers and defences when from being a Mother it is reduced to a tool, when we pretend that it produces more than it can give, when we destroy all other beings that she keeps in life with herbicides and pesticides, when we do not understand that all insects are her children, just like us, and we destroy their habitat, the herbs with which Mother Earth wants to nourish them. With the food garden, we are trying to return to agriculture that recognises the motherhood of the Earth and brotherhood with all the other children. The two hectares of land are surrounded by 700 shrubs of forty different varieties, each designed to be a receptacle of some insect species, with an olfactory path in the middle of 250 meters made up of a hundred aromatic and medicinal herbs with the function, in addition to seasoning our dishes, to attract other types of insects too. A pond has been dug measuring 600 meters to purify the drop irrigation waters. Not wanting to heal we must prevent diseases. Fifty historical fruit trees were planted in a big park, those that grew along the headlands of Polesine in the forties. Large spaces between a row and another in which the grass is mowed every week. The grass is eradicated only around the plants. Then the space is planted. With this type of cultivation, we obtain, with respect to conventional horticulture, 60% of the production. Vegetables, that besides being healthy, have more nutrients and are better preserved even outside the refrigerator. There would be time to take the whole production to the consumer's table. In this period, of conventional vegetables, the consumer throws 20% of what has been purchased, and a further 20% is lost along the production line and the producer does not collect 20% of what has been planted because not compliant with the aesthetic requirements dictated by the market. That is, for 100 kg of vegetables produced, 40 is eaten; with natural agriculture if 60 is produced we may eat 50. To eat more we must produce less. There cannot be slow food without a slow production upstream. In addition to healthy food, this vegetable garden produces also aromatherapy, chromotherapy, wellness. Those who want these vegetables have to come and collect them, with our assistance until necessary. No longer a farmer in the city, but a citizen in the countryside. Those who want, can also use the equipment made available to wash, steam, break down the heat and place the collected vegetables in vacuum bags. A teaching farm for schools, for garden hobbyists, for gardeners who want to learn how to produce naturally. Guided tours with games for families with children to learn about correct nutrition. A farm holiday structure with an exclusively vegan restaurant and vegan cookery classes. A green bar with vegan snacks, centrifuged vegetables, vegetable ice creams and granitas. A secluded corner for those who want to come to meditate and absorb the energy of the earth.